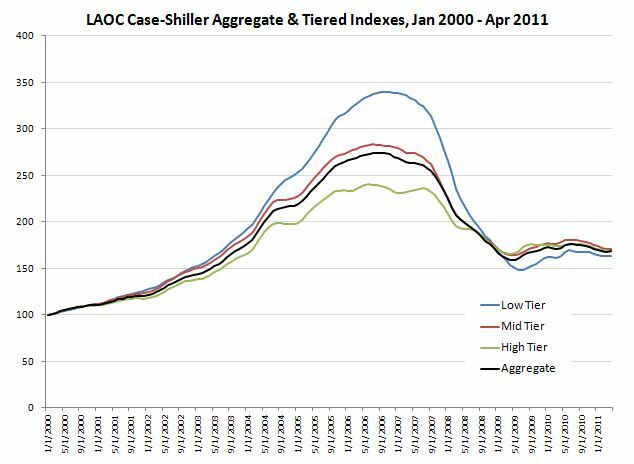 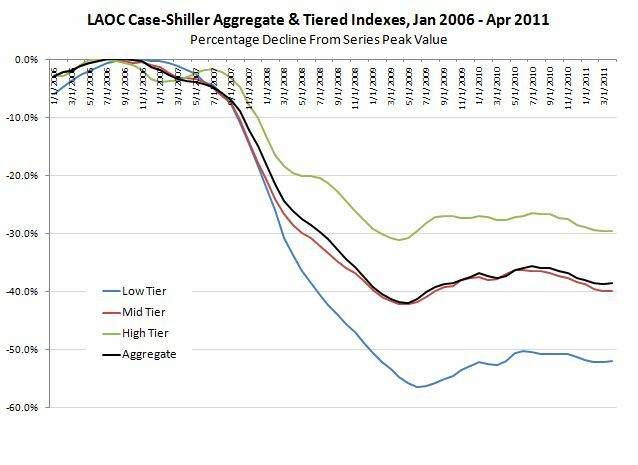 We compare the Irvine Hedonic Home Price Index trend against the LAOC Case-Shiller tiered indexes. 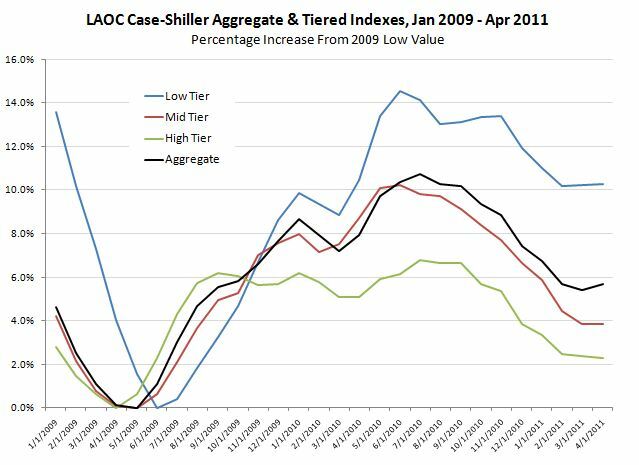 Irvine is considered a premium area, relative to even the LAOC upper third that comprises the Case-Shiller High Tier, and the home price index results reflect that fact. 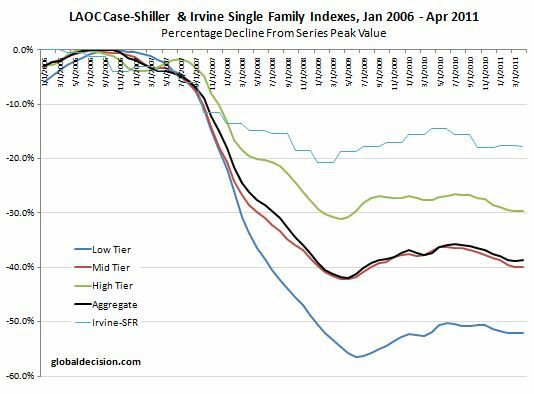 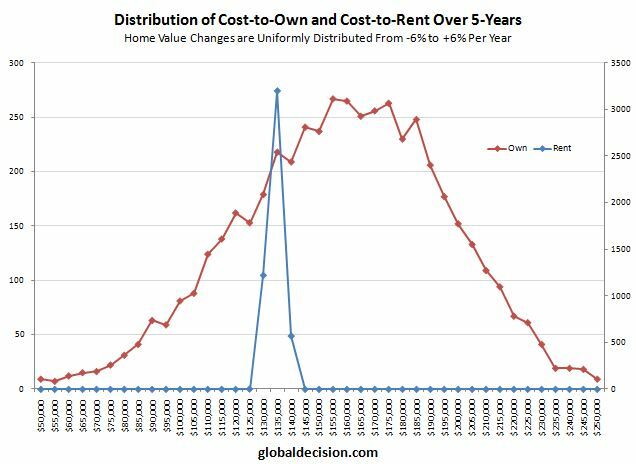 Whereas the Case-Shiller LAOC Top-Tier has fallen about 30% since the 2006 peak values, the Irvine Hedonic Home Price Index has fallen only about 15-20%.